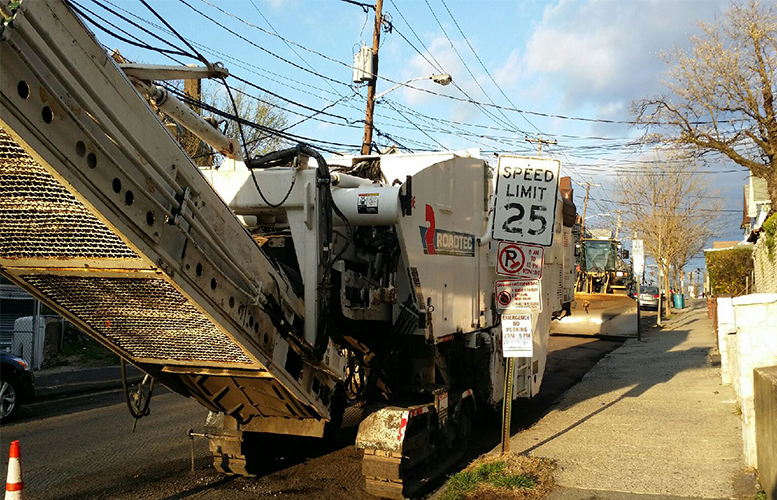 The City Council awarded a more than $760,000 contract last week to resurface half-dozen roadways in Paterson. Council members awarded the $760,149 contract to Wallington-based Smith-Sondy Asphalt Construction Co. last Tuesday. Three firms submitted bids for the work. Smith-Sondy Asphalt Construction Co. was the “lowest responsible bidder.” Other firms to submit bids were J.A. Alexander of Bloomfield for $765,772 and Tilcon New York of Parsippany for $987,654, according to municipal records. A New Jersey Department of Transportation (DOT) grant is covering $663,876 of the contract amount, according to government records. Alabama Avenue from East Railway to Trenton Avenue. Some council members said 8th Avenue has been neglected for years and requires attention. “It’s about time we are doing 8th Avenue,” said councilman Flavio Rivera, who described it as “one of the worst roads” in the city. He was a little upset when 8th Avenue did not make the list of mayor Jose “Joey” Torres’ $37 million road repair program, he said. Road resurfacing will take place in the spring, according to officials. All the roads needs to be fix with 37 million taking on tax payer back all the road should be fix .